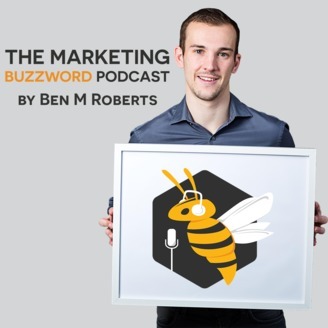 The Marketing Buzzword Podcast helps marketers understand what common business & marketing buzzwords and phrases actually mean. This is the podcast which helps you to understand what all of these business and marketing buzzwords actually mean, and how they can helpful going forward, and on today's show we are going to look at FOMO. 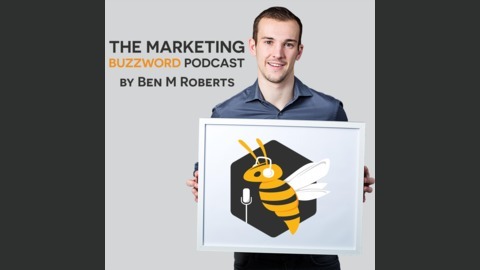 I’m always keen to hear about the buzzwords you are loving or hating right now so please drop me a tweet to @roberts_ben_m or simply use#marketingbuzzword on Twitter & Instagram or if you’d rather you can go on the marketingbuzzword.com website and let me know through there, and take a look at the show notes from previous guests. Right that’s more than enough about me. It’s time to introduce this weeks guest! This episode’s expert buzzword bee is the TEAriffic May King Tsang. FOMO Creator and Social Media Correspondent May King Tsang made her debut at #ATOMICON19: Andrew and Pete’s sell out conference. Her role was to Live Tweet, and broadcast live on Facebook and Instagram all from her smartphone! She’s been Live Tweeting professionally for many years helping conferences, festivals and workshops trend with their hashtags in Australia and the UK. May King continues to help conferences around the world with her FOMO prowess and in 2019 has already been hired to FOMO Create and Social Correspond at a Music Festival, Social Media Conferences, Masterclasses and Workshops so far. May King is also a lover of tea, and you’ll mainly find her tweeting with her teapuns at @maykingtea. Enough small talk, let's talk "FOMO"
Automation - Can and should we automate more? What are the benefits of automating more of our everyday business tasks? Does automation come at the cost of humanisation? Meme Marketing - What is meme marketing? Should and can you incorporate memes into a marketing strategy? How can memes make you more relatable? Customer Journey - What is the customer journey? How can we map out our customer journey to improve the customer experience? Have sales and marketing funnels had their day? Marketing Buzzword to Marketing Authority. An apology. An update on taking the podcast to another level!